By now, most discerning adults know big screen cartoons aren't necessarily "kid stuff." That doesn't mean they're all masterpieces either. With so many animated films arriving in theaters over the course of the year -- often boasting famous celebrity voices, cute character designs, and an annoying song you won't be able to get out of your head -- it's challenging to know which ones are worth checking out and which ones featuring Steve Carell doing despicable things to Minions. To help you make sense of this brightly colored landscape, we've boiled down the best movies of the year to the best animated movies of the year, with winners from blockbuster studios like Disney, Pixar, and DreamWorks, along with smaller titles that are totally worth seeking out. Pixar's latest original is cast from the classic "you're special and here's why" mold -- but when it looks this fantastic, you can't write it off. Twelve-year-old Miguel dreams of being a musician, but ever since his guitar-playing great-great-grandfather walked out on his wife, music has been banned in the family. It takes a magical guitar, a trip to underworld during the Day of the Dead, and Hector, a skeletal specter no one on Earth remembers, to help Miguel learn a thing or two about responsibility and to show his family the truth about its musical history. Toy Story 3 director Lee Unkrich worked with bastions of Mexican culture to give Coco an air of integrity and it shows. This isn't just a movie reveling in the eye-popping visuals of Dia de Los Muertos, but one that speaks a language, and plots a roller-coaster ride through a living, breathing heritage. 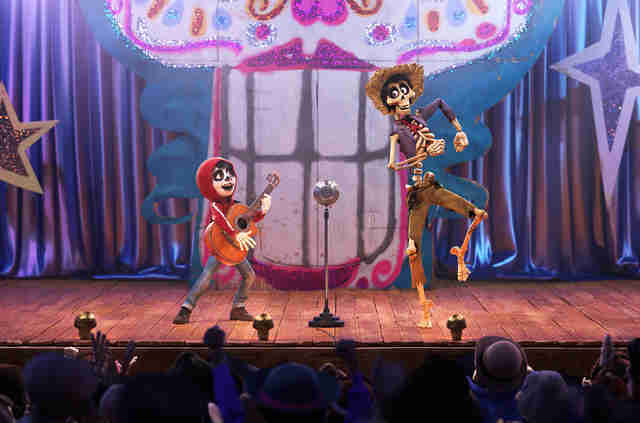 The ofrenda, the holiday's ritual alter, is a centerpiece of the movie, and it's design extends to corner of Coco's imaginative alternate dimension. 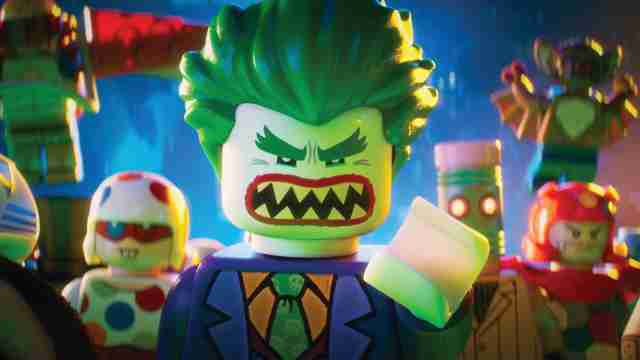 Like 2014's The Lego Movie, a potentially brain-damaging sugar-high of a film, The Lego Batman Movie succeeds by working way harder than it needs to. In addition to serving as a kid-friendly, Naked Gun-style spoof of the superhero genre, director Chris McKay and his four credited co-writers craft a Batman story that feels rooted in the damaged psychology, guarded humanity, and deep yearning of the character. This Batman has Bat-feelings to go with its Bat-jokes. With his gravelly voice and withering sarcasm, Will Arnett's take on the character puts Ben Affleck's recent big screen version to shame. 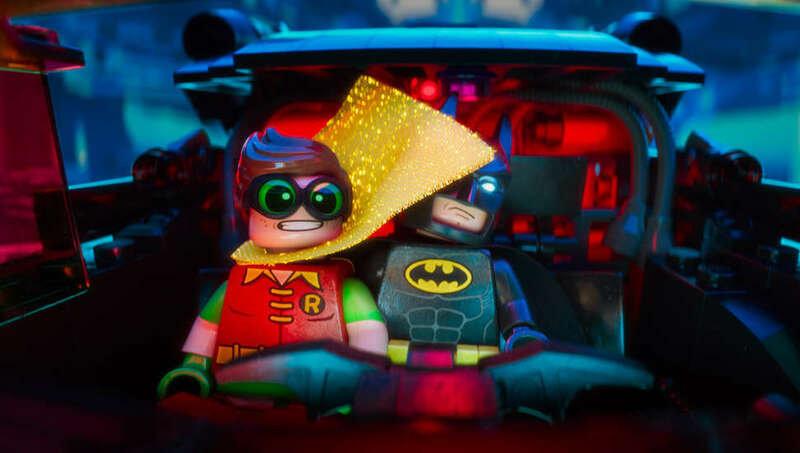 Even if the plot swerves out of control a bit in the final stretch as the cartoon action ramps up, falling prey to the same over-emphasis on action set-pieces as its live-action blockbuster counterparts, it still manages to keep the wheels on the Batmobile from flying off. Feel free to take it for a spin. Based on director Alberto Vázquez's graphic novel Psiconautas, this Spanish-language cartoon stars adorable, anthropomorphic animals in the most horrific, post-apocalyptic scenario imaginable. Like if Lars von Trier directed episodes of Adventure Time, Birdboy: The Forgotten Children traces a series of increasingly upsetting character lines: a female mouse whose abusive step-parents drive her to flee their decimated homeland; a young rabbit trying to shake off the demonic voices in her head; a pig sailor forced to feed his mother's addiction, which manifests as a mutant spider; two rats, a father and son, who rummage through the wasteland until another father-son pair fight them to the death over scrap metal; and the title character, an avian orphan with a heroin addiction who might save the planet, if the rifle-toting cops don't kill him first. 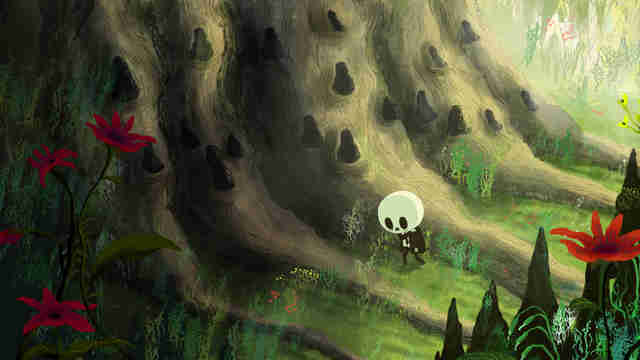 Birdboy: The Forgotten Children is one nightmare after another, gorgeously illustrated and poetic on a fate we may all suffer. Don't mistake this for kid-friendly entertainment (seriously, don't -- the therapy bills would be astronomical), but it's a must see for adults who can stomach tragi-tainment. What sounds like a cheap, metaphoric gag about parenting amounts to the most worthy successor to Chuck-Jones-era animation in ages. Where do babies come from? Baby Corp., of course, a sky-high family factory run by a population of hyper-intelligent two-week-olds. Seven-year-old Tim stumbles on to the secret operation when his new baby brother, Teddy (Alec Baldwin) comes home and flexes his business acumen. An initial parental affection war leads to brotherly bonding and a heroic team-up against an ex-Boss Baby and his super-cute puppy that never ages -- an invention that could replace babies forever! Colorful and spastic, The Boss Baby is an unabashed cartoon that leans on artistry -- 3-D, 2-D, and storybook illustration -- to land any joke. It is a movie where Boss Baby's head is lionized in a radiated mushroom cloud, and all the better for it. 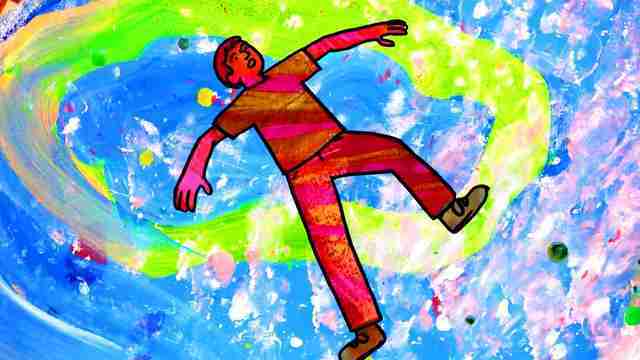 The scraggly sketch style of acclaimed graphic novelist Dash Shaw comes to life in a teenage dream comedy about a coastal town high school that cascades off a cliff, drifts out to sea, and provokes a student-body class war. Like the stars of Superbad or Broad City, Shaw's cartoon proxies mumble with angst as they swim, jump, and climb through his version of hell, a submerging vertical tower lorded over by populars and varsity-jacket-wearing douche bros. Unchained from conventional Pixar practices, My Entire High School Sinking Into the Sea is one of the more visually stunning comedies to emerge from the Apatowian era of comedy. 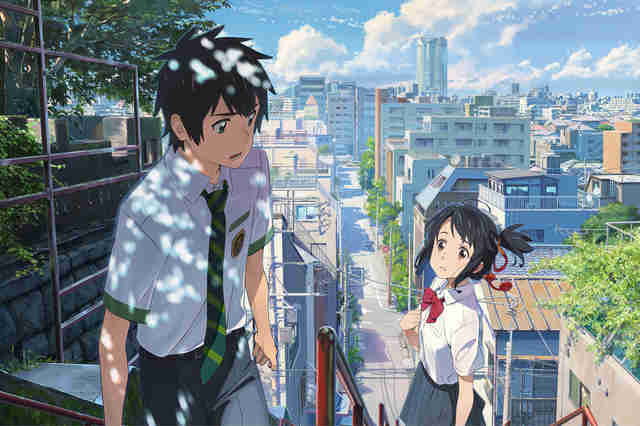 This Japanese animated film became the first anime not directed by the revered Hayao Miyazaki to rake in over $100 million, went on to become the country's fourth highest-grossing film of all time, and proved that anime can still be prestigious in these corporate times.Your Name is affixed to a place in 2016 history -- but is it technically a 2017 movie? We threw it on our Best Animated Films of 2017 list for good measure, but technically the movie made its way to U.S. theaters in 2017. So we're adding it again. The movie deserves it. Your Name begins as a body-swap dramedy, following two teenagers, a boy from Tokyo and girl from the boonies who dreams of moving to the big city, who sporadically jump into each other's lives. The magical connection sparks a romance, but it doesn't work out so easily for them. The narrative twists even further -- and we won't dare spoil how. Visibly recoiling from the 2011 Fukushima disaster, Your Name deals with loss, love, and heritage in a hyper-vivid style that heightens the drama even as the logic becomes more Christopher Nolan-y. The filmmakers didn't bring this biographical sliver of Vincent van Gogh's tragic to life with hand-drawn or CGI animation. Instead, they filmed actors (including Douglas Booth, Chris O'Dowd', and Saoirse Ronan) on rudimentary sets, then hired artists to rotoscope each frame with oil on canvas, emulating the Post-Impressionist painter's swirling, scenic renderings. The painstaking process took six years, but the finished product is unlike anything you've ever seen. 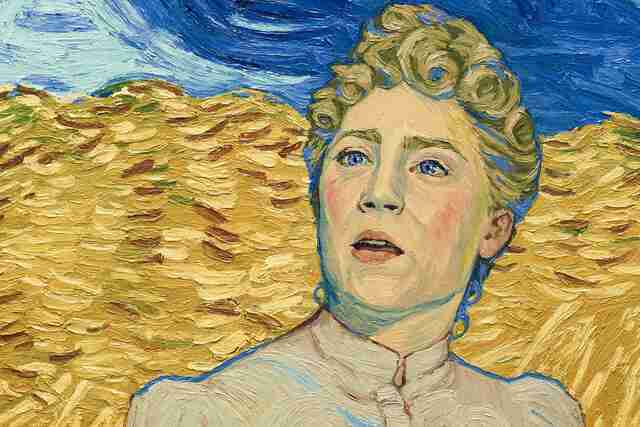 Positioned as a kind of educational thriller, Loving Vincent follows Armand Roulin (one of van Gogh's many subjects) as he unravels the circumstances that led to the young artist's suicide, spotlighting details of his life, and meeting many of the people who would inspire his paintings, along the away. The basic story is a gateway to a series of vivid, textured, living compositions that say as much about van Gogh's mind as Loving Vincent's nail-biting anecdotes.